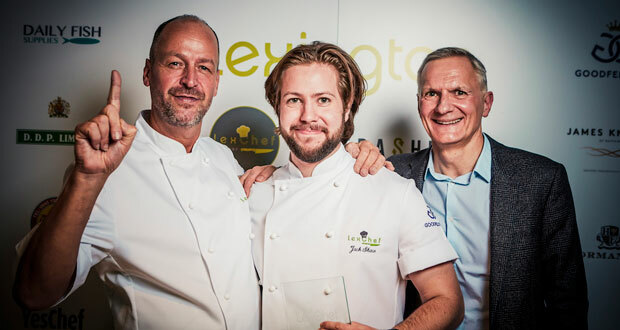 Jack Shaw, Head Chef at Lexington Catering, has been crowned winner of LexChef 2018. He was recognised for his approach to reducing food waste and ability to create some really tasty dishes with food that would otherwise end up in the trash bin. This year, Lexington introduced a twist to the competition. Rob Kirby, Chef Director at Lexington Catering, asked chefs to source their ingredients as responsibly and sustainably as possible to produce a vegetarian starter followed by any main course and dessert. Rob Kirby, Chef Director at Lexington Catering, said: “As chefs we have a responsibility to help beat food waste. We wanted to provide an opportunity for our team to get creative and look at ways to use food that may otherwise end up in the trash bin – I wanted them to think about the cuts, the ugly veggies and total nose to tail. Shaw won ‘A Day in the Life of The Pig’ experience, where he will spend time with the team in their garden and learn more about their approach to sustainability. He will join the team forest and sea foraging and then enjoy a fabulous dinner and overnight stay at The Pig.